SLX4 coordinates three structure-specific endonucleases in the DNA damage response. One subtype of Fanconi anaemia, FA-P, has recently been attributed to biallelic SLX4 gene mutations. 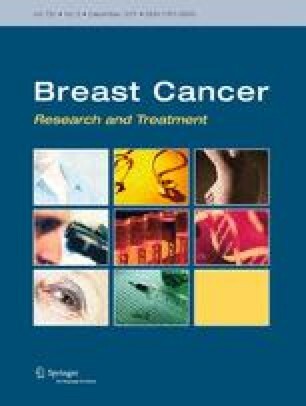 To investigate whether monoallelic SLX4 gene defects play some role in the inherited component of breast cancer susceptibility, in this study we resequenced the whole SLX4 coding region and flanking untranslated sections in genomic DNA samples obtained from a total of 52 German or Byelorussian patients with familial breast cancer. Selected variants were subsequently screened by RFLP or TaqMan-based assays in an extended set of 965 German breast cancer cases and 985 healthy female controls. The resequencing study uncovered four new SLX4 missense substitutions, each of them in a single breast cancer patient. Three missense substitutions (p.V197A, p.G700R and p.R1034H) were not found in a subsequent screening of 240 additional breast cancer patients, while one missense substitution (p.R237Q) was more common and was detected in a total of 12 cases (1.3%) and seven controls (0.7%) in the Hannover breast cancer study. The rare missense substitution, p.G700R, resides in the conserved BTB domain and was in silico predicted to be pathogenic. Seven additional missense polymorphisms were correlated and formed one haplotype which was, however, neither associated with breast cancer risk nor with survival from breast cancer. In summary, this study did not reveal truncating or clearly pathogenic mutations, but unravelled four new unclassified missense variants at a low frequency. We conclude that there is no evidence for a major role of SLX4 coding variants in the inherited susceptibility towards breast cancer in German and Byelorussian patients, although very rare mutations such as the p.G700R substitution could make a minor contribution. The authors thank the patients and the patients’ family members for their participation in this study. NB was supported by short-term fellowships from the German Academic Exchange Program and from the Friends of Hannover Medical School. Human Genome Variation Society, www.hgvs.org/mutnomen/.